Second edition of the Skirogaining took place in the Ore Mountains on 14 Jan.
WRC 2012 in the end of August. The next forthcoming event bears a somewhat dissuasive name "Brutus Extreme Orienteering", but in fact it will be just 6 and 5 hours' rogaine on Saturday 10 and on Sunday 11 March, resp. - and a lot of fun between and after. Event centre is situated to the south-east from Prague (49°53'1.485"N 14°49'9.128"E). Bulletin (in Czech language) is available. The first rogaine of 2012 took place in the north-western Bohemia and southern Saxony (that means in the same mountain chain which will be the stage of the next WRF) on 14 January and - no wonder - it was a ski-rogaine. Winners of the open classes are the following: Jan Kopáček and Tomáš Matras (MO), Grammlich Christiane and Holfeld Christina (WO) and Hinkel Udo and Hinkel Katja (XO). See complete results, competiton map (with the start triangle at 50°37'42.103"N 13°33'54.641"E) and some photos. The top event, both Czech and World, of 2012 will be the World Rogaining Championships. 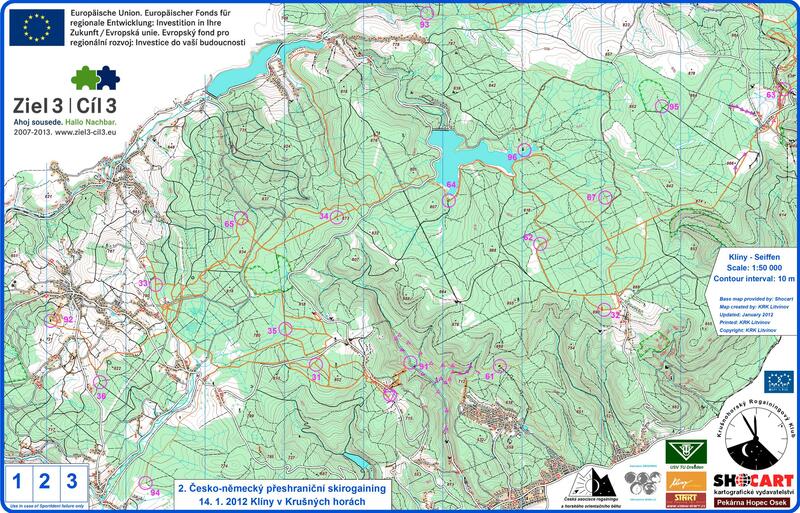 On 31 August and 1 September, competitors will search for their controls on the territory of both Czech and German Federal Republics, with the event centre in a small village called Přebuz or Frühbuß (50°21'56.801"N 12°37'12.137"E) See Bulletin#1 and Entry Criteria on the 10WRC webpage.